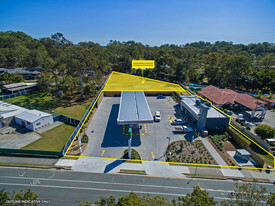 32 Commercial Real Estate and Properties in Gold Coast are listed in 9 categories. We have 438 Offices for Sale & Lease , 373 Industrial Warehouses for Sale & Lease , 343 Retail Shops for Sale & Lease , 90 Development Lands for Sale & Lease , 58 Showrooms for Sale & Lease and 54 Hotels and Leisure for Sale & Lease . Rare Big Land Bank Or Luxurious Country Living $2,200,000+ for 53 acres .. This property is located along the main road of Tamborine, captivating you down your 300m long private drive way to a beautiful house surrounded by 53 acres of land. Executive home with 5 large built in bedrooms with the master including walk in robe and Ensuite. Open plan kitchen and dining, office, 3 bath rooms, built in bar, rumpus and family rooms. This 53 acre property includes 5 separate paddocks, two creeks, 3 dams and terrific soil. 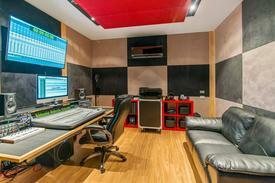 Contains a second massive lockable shed with its own power and amenities. 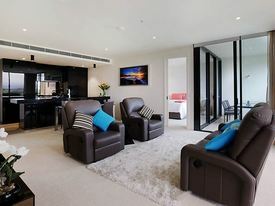 Just 10 minutes to Mt Tamborine, 20 minutes to Jacobs Well and 40 minutes to the Gold Coast, this unique property was built for the luxury country lifestyle and it will take your breath away. This property is a great investment with great tenants; it is an ideal opportunity for land Bank. With the land space to set up a hobby or farm, it is also for kids of all ages to indulge into semi rural activities. Residence extra features Fully ducted air conditioning/ Ceiling fans High ceilings Timber floors throughout Front and rear decks 3 bay lockable shed Salt water in ground pool with spa Fully fenced paddocks . Property is currently renting with $1200/wk Location: Tamborine Price: $2.2 mil + Inspection: By Appointment Contact Agents: Andrew Lin 0422 173 450 / Justin Cheng 0400 335 572 Note : All information contained herein is gathered from sources we consider to be reliable. However we cannot guarantee or give any warranty about the information provided and interested parties must solely rely on their own enquiries. Sick of the corporate rat race but don't want a 7 day business with high overheads ? This rare home + $$$ lifestyle business opportunity offers a comfortable home with 4 bedrooms upstairs and a self contained one bedroom unit downstairs, and a thriving hydroponic business earning a substantial income. Miles away from the hustle and bustle, yet only 30 min from Gold Coast, 1 hour from BrisbaneNo set hours, the business is currently run by the owner and a couple of casual helpers. 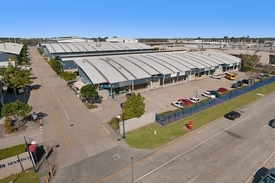 Massive potential for growth, fantastic opportunity for a new owner with vision Suit an investor, family operation or husband and wife combinationMay suit business migrants. For further details contact exclusive agents.